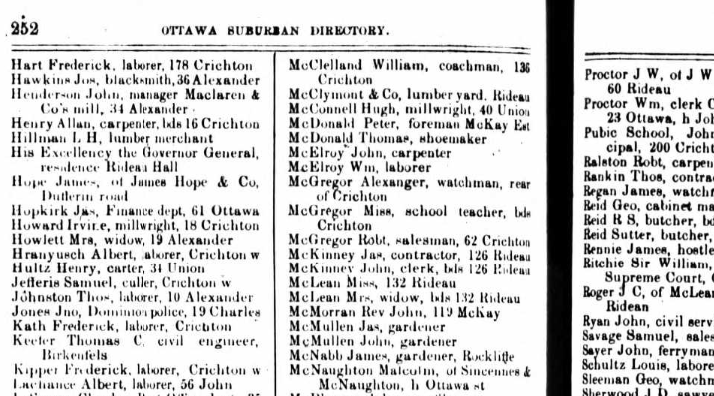 McElroy in the 1881 Ottawa City Directory. 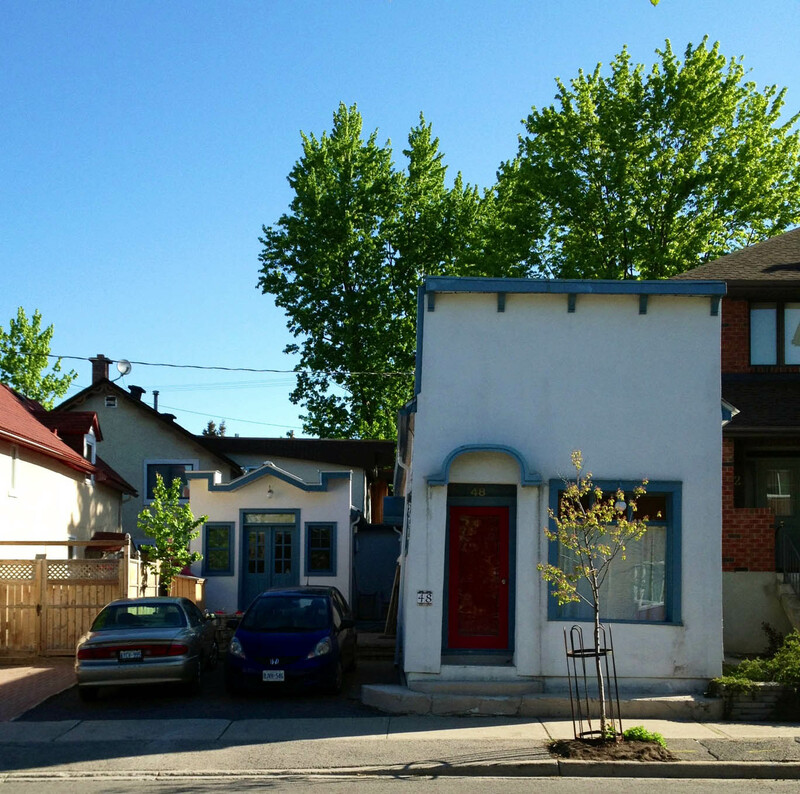 Earlier directories did not give the suburban areas the same street-by-street treatment as Ottawa proper. Once Bedard left No. 48 in favour of the larger newly-constructed facility at No. 67 Crichton, it became a corner store, operating as Trudel’s Confectionery until the early 1970s, when it was converted to a private residence. Report to Planning and Environment Committee, April 12, 2007. Ottawa City Directory, 1885, p. 344. Ottawa City Directory, 1886, p. 352. Ottawa City Directory, 1891-92, p. 83. Ottawa City Directory, 1893-94, p. 77. Ottawa City Directory, 1895-96, p.79. Ottawa City Directory, 1901, p. 66. Note: I do not have city directories from 1902-1908. Ottawa City Directory, 1909, p. 63; Report to Planning and Environment Committee, April 12, 2007. The small building at 48 Crichton St. was also a popular confectionery named “Pops”, operated by Mr. Raoul Mercier during the late 1950’s early 60’s. 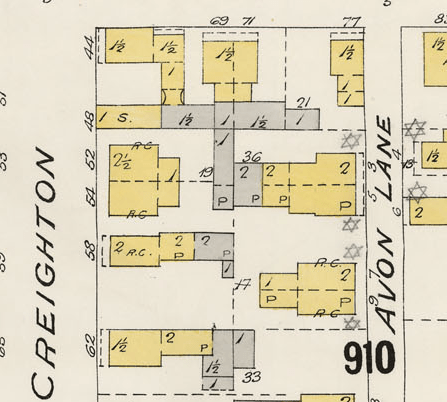 Mr.Mercier and his wife lived in the house next door, at the corner of Crichton and Union Streets.